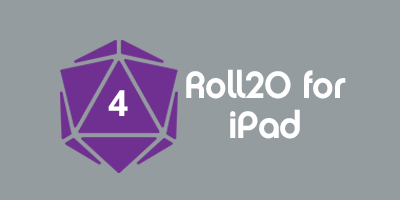 In addition to standard rolling (which returns results instantly based on a random number generator), Roll20 also features the ability to roll 3D Dice. When you enable this feature, anytime you perform a roll (including rolls in macros), a real-time 3D physics simulation will be shown to you, and the results of the simulation will be used to determine the results of the dice roll. 3D Dice rolls are insured by our Roll20 QuantumRoll dice engine. By default, 3D Dice are disabled. To enable this feature, go to the My Settings tab in the Sidebar. After the Master Music Volume Level Slider is a series of feature checkboxes, you will find a checkbox allowing you to "Enable 3D Dice." Note: If your computer doesn't meet the minimum requirements to show 3D Dice (e.g. your browser or graphics card do not support WebGL technology), you will receive a warning message letting you know that it can't be turned on. After 3D Dice have been enabled, all dice rolls you perform that use the standard d4, d6, d8, d10, d12, d20, and d100 (percentile) dice will be shown in 3D and dice will stay on the tabletop after you roll them until you either a) interact with the tabletop (e.g. clicking), or b) make another roll. To disable 3D Dice, just uncheck the same checkbox. You can toggle the Automatically Roll 3D Dice checkbox in you Game's My Settings tab for Dice Agency options. Dice Agency is on when the box labeled "Automatically Roll 3D Dice” in your games “My settings” tab in unchecked. With Dice Agency enabled, you will have complete control over how dice are rolled in game. You'll be given the ability to click-and-drag to indicate the direction and force with which the dice are thrown. Check the Automatically Roll 3D Dice box to use the old "auto roll" method. The color of the dice you roll is determined by your player color. You can set your player color by clicking the color swatch to the right of your name across the bottom of the Roll20 window. When you roll a D100 you'll see two D10's roll on the tabletop, one labeled 00-90 and one labeled 0-9. In addition to your own rolls, if you have 3D Dice enabled, any other players who also have the feature enabled will see your rolls in real-time as you perform them, and you will see theirs as well. This page was last modified on 9 March 2019, at 02:26. This page has been accessed 87,542 times.